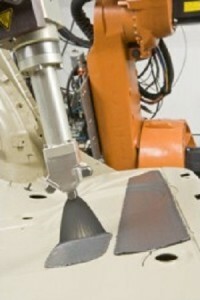 Henkel is introducing the fourth generation of its rubber-based acoustic materials, Teroson RB 8275, for the automotive industry to reduce noise.Teroson RB 8275 is a new liquid applied sound deadener (LASD) that reduces the solid-borne noise generated by the engine and the wheels during driving. According to Henkel, its acoustic performance is more than 15% higher than the current industry standard.In addition, Teroson RB 8275 saves up to 20% weight compared with today’s standard products, which can reduce the weight of a vehicle by about 1kg. “That may not seem much to a non-specialist, but it represents a huge step forward for a vehicle designer habitually endeavoring to save a gram here or there,” explains Manfred Kosche, Henkel Product Line Manager for LASD products. The material, consists to a large extent of natural or renewable raw materials, can be delivered by rail tanker cars directly from Henkel’s plant in Heidelberg, Germany with a capacity of 21,000L or can be transported by rail. Whereas the time-consuming, manual fitting of up to 30 conventional bitumen mats in each car body generates a great deal of dust and dirt, Henkel says the automated spraying of liquid applied Teroson is a clean process. Nearly all the bitumen mats used today can be replaced by Teroson RB 8275. This also helps to assure consistent quality, since spray application by robot is faster and more precise than manual bonding of mats.The new Teroson does not require any hazard labeling and the low level of emissions also lies significantly below today’s thresholds, adds the company.